2 books from 2 people in 2 different bands during the same era, both autobiographies. Horace’s one has been on my shelf for a while now but after picking up Pauline Blacks autobiography I thought I would do them both justice and read them concurrently. Pauline was up first and we get a lot of her background in here. 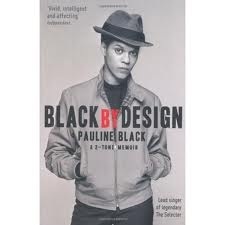 It must have been a cathartic experience to write as many demons would have been exercised and we hear how hard it was growing up as a black person in not only a predominately white neighbourhood but in a white family (Pauline was adopted). Her experience is one of not really belonging. There is some good background into the recording experience and how the selecter put together their landmark single too much pressure. Horace doesn’t dwell too much on his upbringing preferring to dive pretty much straight into the music. There’s a different air to his writing. Whilst Pauline black has an edginess to her style Horace is more straightforward, more in the “Enjoy Yourself” specials way. That’s not to say that hard issues aren’t tackled. The most revealing thing from both books is how much unhappiness went into being in a successful band, playing to hundreds, if not thousands of people wherever you travelled (and there was a lot of travelling). If you’re reading this then you know the story, punk rock came – anyone could for, a band and many did. 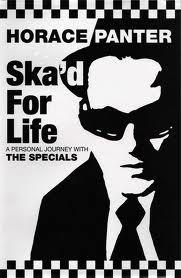 This was the catalyst for kids trying their own style, one such style was ska and 2 tone records in Coventry featured bit the specials and selecter. These books are stories of the expecting bands. With Pauline though there is a sense that if it weren’t for the rain it would be sunny all the time. It seemed that it was other people who stood in the way of selecter fame, be that producers, tour managers, record labels or riots on the street… With Horace it was circumstances that fed their success, be it punk rock. Tur managers, record labels or riots (their single Ghost town was almost the title tune for riots throughout Britain in 1971. Paline has subsequently gone on to other projects with various success but has returned to her first love of music. Horace moved away from the music business to become a teacher but a bass is never far away from him. Reading both books would not make me want to be in a band, it sold almost scare me off. It emphasises the pressures that musicians feel under to perform at a gig, or recording a song or writing a record. Pressures from many angles. It paints a picture of a music business not too concerned with bands but with the amount of product they were selling. It tells tails of kids exposed to money and drugs. They both give an account of an historic time in music, whether the bands believed it or not.